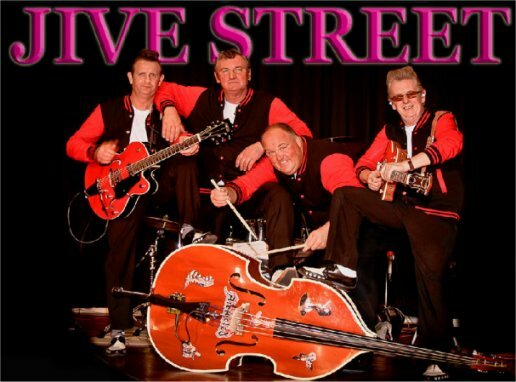 Jive Street werd opgericht in 1991 toen Mick (gitarist van de Street Rods) en Kev (gitarist van Juke Box Jive) besloten om de twee bands samen te voegen. Ze besloten beiden om een stukje van de oude naam te houden en zo ontstond de naam Jive Street. In de daaropvolgende jaren bracht de Rock & Roll ze over vele delen van de wereld; Holland, België, Spanje, Turkije, Griekenland, Duitsland, Oostenrijk, Frankrijk en Malta. 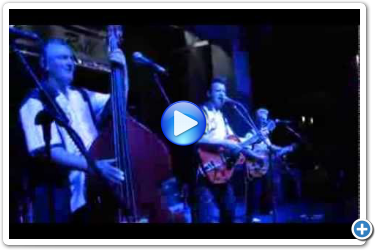 Ook in Engeland behoren zij tot de top in de Rock & Roll en Jivers scene. It all began one summer evening in 1991; there was a ring on the front door-bell. It was a visit from Kev and Pete. Back in the early 70s, Pete used to drive the van and Kev used to give us a hand with the gear, sometimes jumping up for a song. In actual fact, myself, Pete and Dixie went to the same school. Pete and Dixie were in the same class right from junior school. They even sat next to each other. The three of us were messing about musically (if you can call it that) around 30 years ago. I still have some photos from that time, although I think these would destroy our credibility if they ever saw the light of day. At one stage about 18 years ago we advertised for a sax player. Who should reply to the add ? - you don’t need three guesses. Inge has been with us ever since. She says she’s the new kid !! The STREET RODS ran for about 12 years and eventually looked like coming to an end. But it was not the end after all. Kev who had a band called JUKE BOX JIVE sort of amalgamated with us. The name STREET RODS had to go. So we took the word JIVE our of K ev’s band, and the word STREET out of STREET RODS, and now we have a merger which has been in force for 12 years. In March this year, Pete decided to call it a day, and guess what? Dixie decided he had had enough of sitting behind a drum kit and wanted to go on bass. No sooner said than done. For the best part of one year we had been using a stand-in drummer, as Dixie had a few medical problems which are now all sorted out. So this is how John - our drummer since March - joined the band, and the bonus was, that he already knew a lot of our numbers. Rock & Roll has taken us to many parts of the world; Holland, Belgium, Spain, Turkey, Greece, Germany, Austria, France, Malta, on cruises and all over the UK - rain or shine.